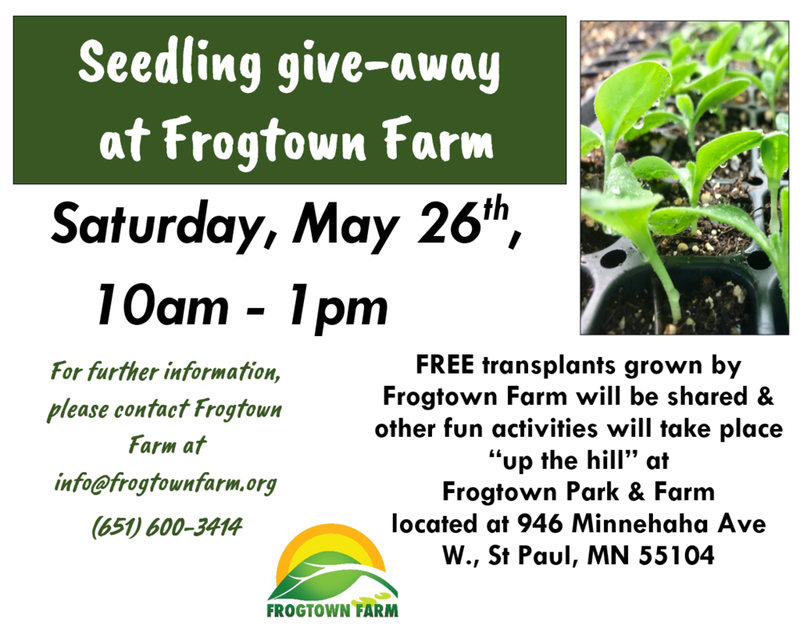 Seedling give-away at Frogtown Farm! FREE transplants/seedlings grown by Frogtown Farm for neighbors! The park and farm is accessible on foot, bike, bus and Greenline. Street parking is available around the park and farm - please park on the street and plan for a walk up the hill. There are 4 handicap-accessible parking spots available up the driveway with access from Minnehaha Avenue, and these spots are reserved for those with low accessibility.